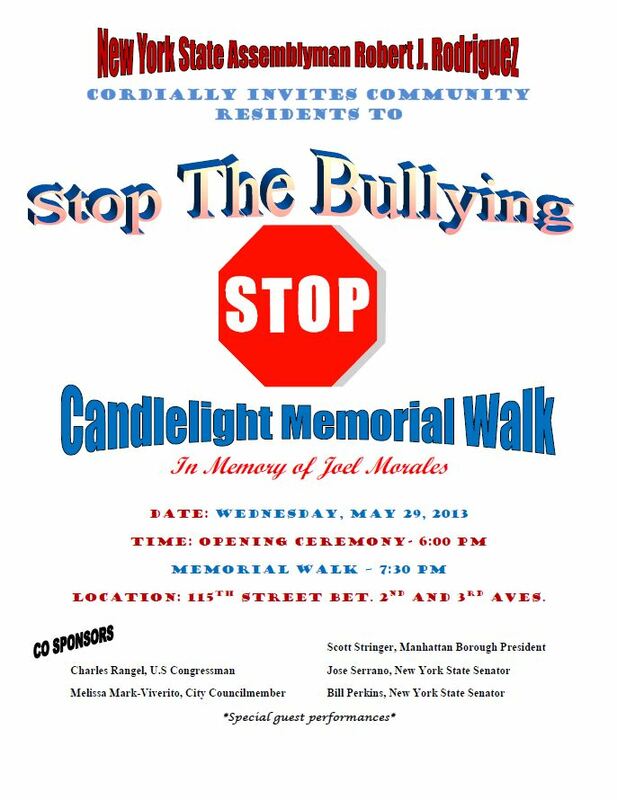 Please join Melissa at the upcoming Stop the Bullying Candlelight Memorial Walk, in memory of Joel Morales, who tragically was driven to commit suicide last year at the age of just 12 years old after enduring relentless bullying. This event is being spearheaded by Assemblyman Robert J. Rodriguez and gives all of us in El Barrio/East Harlem the opportunity to come together, remember Joel and renew our fight against bullying in our schools and communities. This entry was posted in East Harlem, Events, Public Statements, Take Action!. Bookmark the permalink.